At the sight of many a rebel's blood freezes. The walking weapon station of the Empire is not only impressive to look at on the battlefield, but also a very special gem of your Star Wars: Legion collection. As befits such a highly detailed miniature, it should also be safely housed. 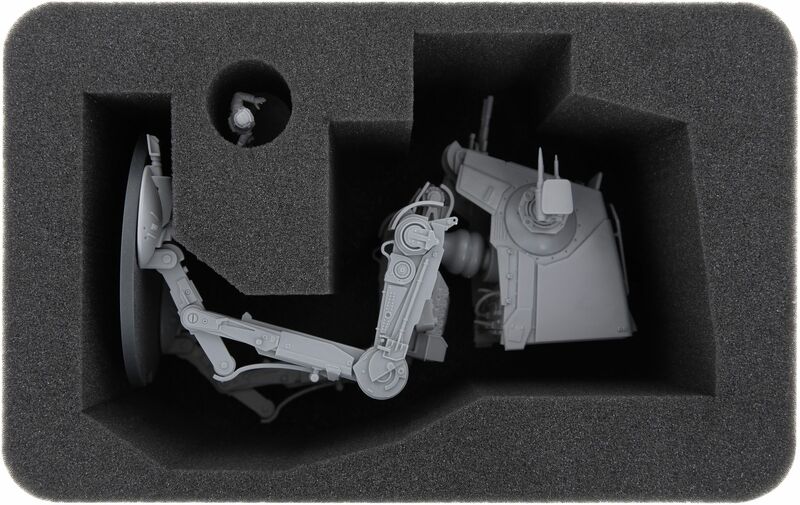 This is exactly why we have developed the half-size foam tray for the AT-ST. The fine-pored foam - of course, chlorine- and acid-free - is perfectly tailored to the dimensions of the All Terrain Scout Transport. As a result, he can safely stow lying and transported to the next battlefield. And who better fits that war machine than one of the Galactic Empire's most feared warlords, General Veers? Therefore, we have additionally provided a compartment for the Star Wars: Legion expansion of the Commander. 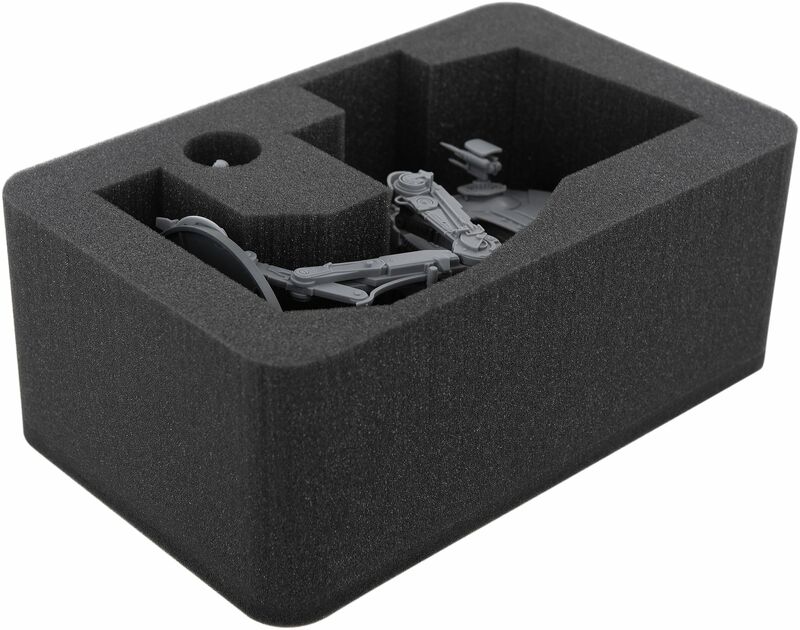 Special designed foam tray for a AT-ST.